I’ve got World War 2 on the mind today, after reviewing Company of Heroes 2: Ardennes Assault. 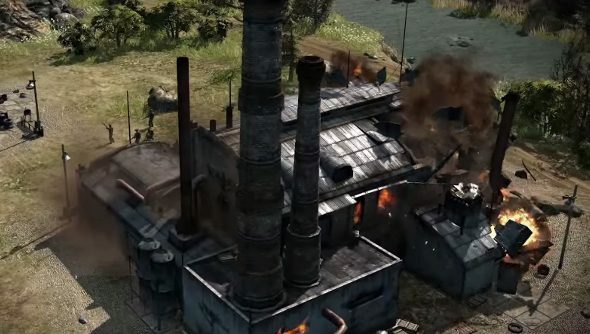 I’ve tried to think about other things, like sandwiches or the spiffy new boots I just bought, but I just ended up watching the latest developer diary for Blitzkrieg 3. How could I not, when it tackles explosions, fire and destruction? “Military-historical strategy, like real war, is impossible without explosions, fires, and general destruction,” says developer Nival. So they’ve been working away on creating destructible environments, buildings that get destroyed in phases and a physics engine that considers how something would break apart. It sure looks pretty, in a devastating, oh god I hope this never happens to my house kind of way.